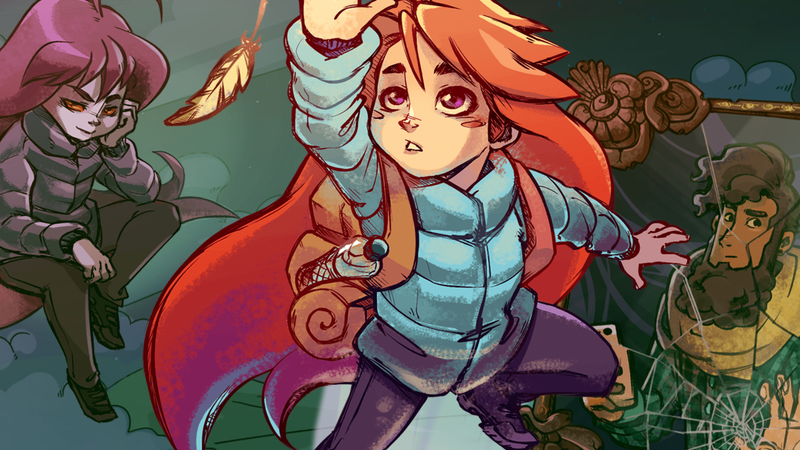 Players of indie games on Switch are driven in great part by “nostalgia,” Nintendo said today at a Game Developers Conference event at which it revealed the top 10 best-selling Switch indie games, a list that includes Celeste, Stardew Valley, and Shovel Knight. “Nintendo fans really tap into those games that share inspiration, or have a sense of, nostalgia, with tried and true franchises, maybe games they grew up playing when they were younger,” said Damon Baker, Nintendo’s frontman for its indie efforts, at the San Francisco event on Tuesday morning. Baker did not say how many units each game sold, or list the games in any particular order, but the top 10 best-selling indies on Switch, he said, were: SteamWorld Dig 2, Stardew Valley, Kamiko, Celeste, Fast RMX, Golf Story, Enter the Gungeon, Overcooked, NBA Playgrounds, and Shovel Knight: Treasure Trove. Other trends that Nintendo sees among the top-selling Switch indie titles, Baker said, were multiplayer gameplay options and the novelty of being able to take a PC gaming experience on the go. All this indie success has had an effect on the company’s earnings: For the first time in Nintendo’s history, Baker said, third-party download game sales were higher (measured in units) than third-party packaged game sales. That’s somewhat apples-to-oranges since it includes games that were only released digitally, but it’s still a milestone for a company that has struggled historically with downloads versus cartridges. “We’ve got kids in dorm rooms, we’ve got young adults, we’ve got dudebros,” Baker said of the wide-ranging Switch audience. “These are people very familiar with consuming digital content.” The convenience of having a digital library to take on the go and not have to carry around cartridges, Baker said, is causing fans to buy digitally on Switch in greater numbers. Baker also announced that in addition to the games shown on this morning’s Nindies showcase video, Hyper Light Drifter, Nidhogg 2, and Crashlands will also be coming to Switch. Of course, being an event focused on indie games means that Switch Online and Virtual Console were outside the scope of Baker’s remarks, but if you ask me, if a sense of nostalgia is truly driving Switch game purchases, it would behoove Nintendo to get its actual classic game library available on the Switch as quickly as it possibly can. Correction, 5:44 p.m. Eastern time: In an earlier version of this story, the title of the game Kamiko was incorrectly written as Kamino. Now we know how it feels when people misspell “Kotaku.” Additionally, the “2" was left off of SteamWorld Dig 2. Kotaku regrets the errors. Correction, 6:17 p.m. Eastern time: The third-party game sales on Switch were measured in units, and not dollars as originally stated.